Last Sunday, 33 riders sacrificed their normal lay in to gather at 3-1-5 Health Club. The reason?, for an early start for Top Dog Events latest sportive – the Yorkshire Dales 100. 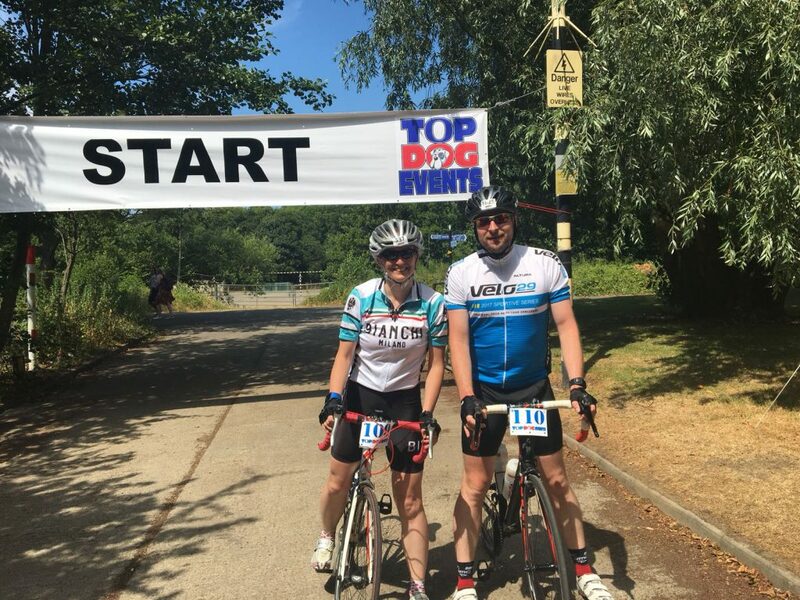 Here, Chris Packman, Co-Director of Top Dog Events tells us all about the event! 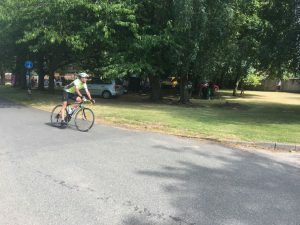 ‘A bit like Brexit, the riders where closely split between the 100 mile and 100 km routes: 18/15. The weather was kind to all, being a little cooler than the previous weeks of tropical conditions. The club was opened at 6.30am by Marcus and Neve (thanks for that) with riders starting to arrive. The start-line and registration desk were next to come online, thanks to Sue and Steve. Lancaster’s newest cycle store ‘On Yer Bike’ provided mechanical cover on the start. Thankfully they had little to worry them as most riders came on well prepared bikes. Both routes headed towards Ingleton then up and along the Roman road between Whernside and Ingleborough to Ribblehead. Next was the remote Dales countryside to their 1st refreshment stop – manned by Deena from 3-1-5 and the junction with Dentdale. 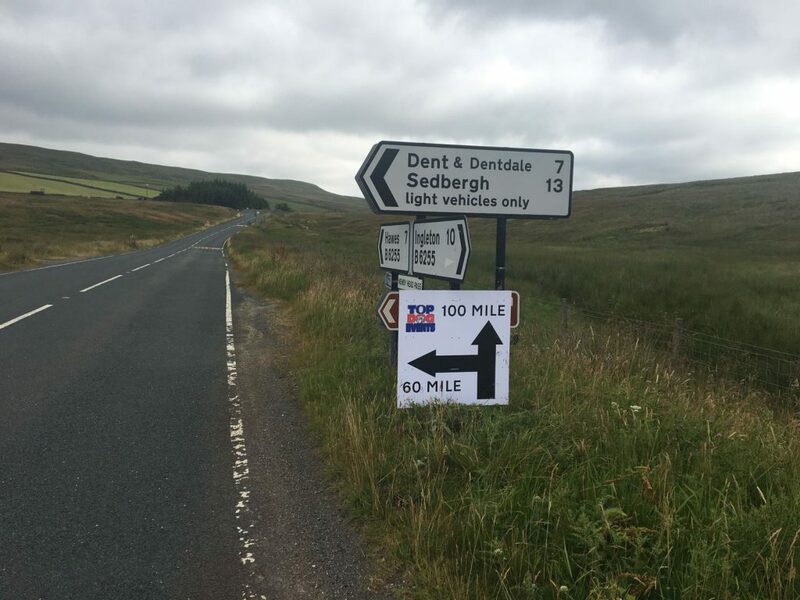 Here the routes split, with the 100+ km riders descending into Dentdale, then through the village of Dent itself, with its cobbled streets and handy public loos. They then continued to Sedbough and re-joined the 100 milers shortly afterwards. Meanwhile the 100 milers continued north through amazing Limestone scenery towards the town of Hawes, then up and over the legendary pull of Buttertubs. 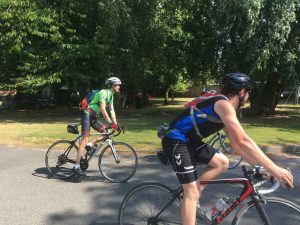 They turned west to ride along hidden valleys and wild fell sides before steeply descending into Nateby and along the main road to their 2nd feedstation. Thanks to James from Lancaster’s OMM advice center for manning this station. The long route then headed south by following the old Roman road between the Howgills and The River Lune / M6 (Chris’s new favourite road) before joining the 100+km participants on the outskirts of Sedburgh. 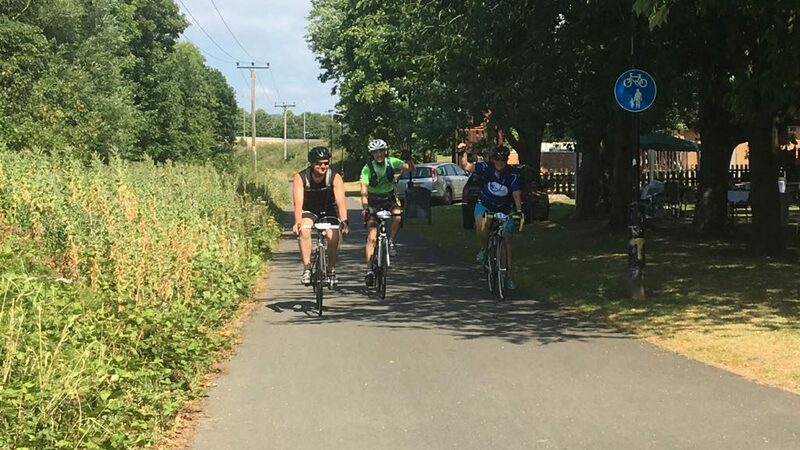 All riders now enjoyed the traffic free lanes to their final pit stop of the day just outside Kirkby Lonsdale, manned by Jane. To finish they continued back to Lancaster and 3-1-5 via quiet lanes through Borwick, The Kellets and Halton village. 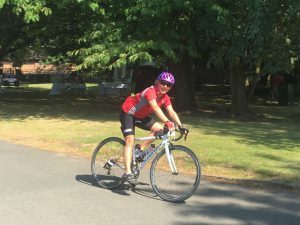 Once back at the finish – all riders were presented with a well-earned muffin and goody bag. Everyone then headed into the club to be presented with their finishers medal – and a fresh brew. 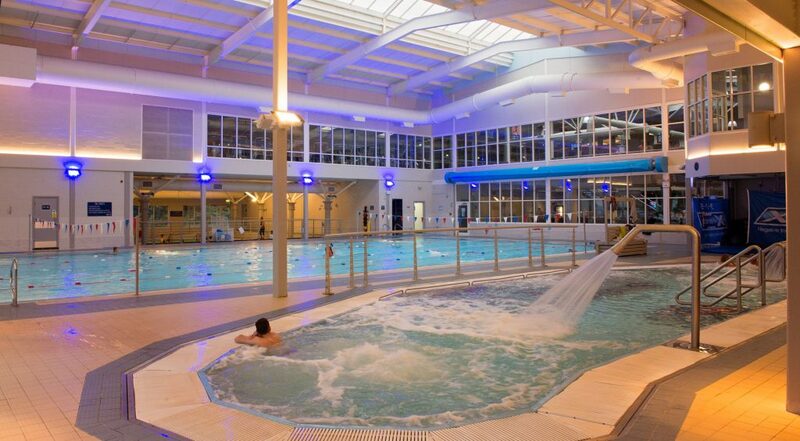 All entrants were then offered the opportunity to relax for rest of the day enjoying 3-1-5’s amazing pool side facilities (thanks for this Sean and co). 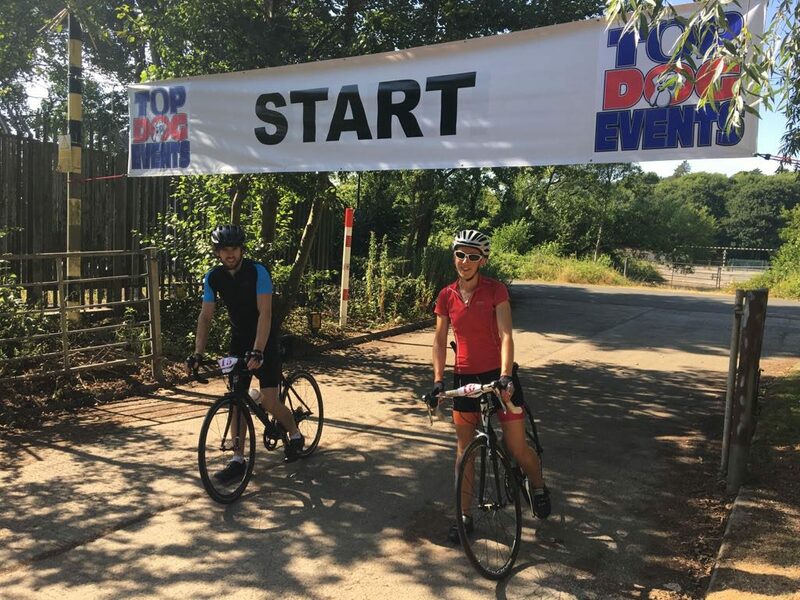 Judging by the feedback both on the day and since – see https://www.topdogevents.co.uk/event-reviews/ a challenging but highly enjoyable day was enjoyed by all. This in itself is ample reward for the weeks of effort the Top Dog team has spent organising the event. Thanks also to Lynn and Steve in the broom wagons who spent the day following behind each route. We are now busy planning our next events, The Forest of Bowland 100 miler and The Forest of Bowland 100 km sportive’s and a “try a trail” 5 km and 5 mile runs from Leighton Hall on 30 September.